Firehouse 911, the DVD by Firefighters for Firefighters! Firehouse 911 – The 9/11 video by Firefighters for Firefighters. TomT on Mon, 03/14/2011 - 4:17pm. 9/11 Blogger needs to keep this posting on the front page for some time. This campaign needs some time to take off. When it does take off it will have a major impact because the message of truth is coming from the heroes themselves. It will be undeniable. Please keep this post on the front page for a while. For anyone else reading, this has got to be the best way to spend $20 bucks for truth. We all need to spend more than $20 on a genius campaign. greenback on Tue, 03/15/2011 - 4:26am. I agree that this is an excellent way to spend $20. 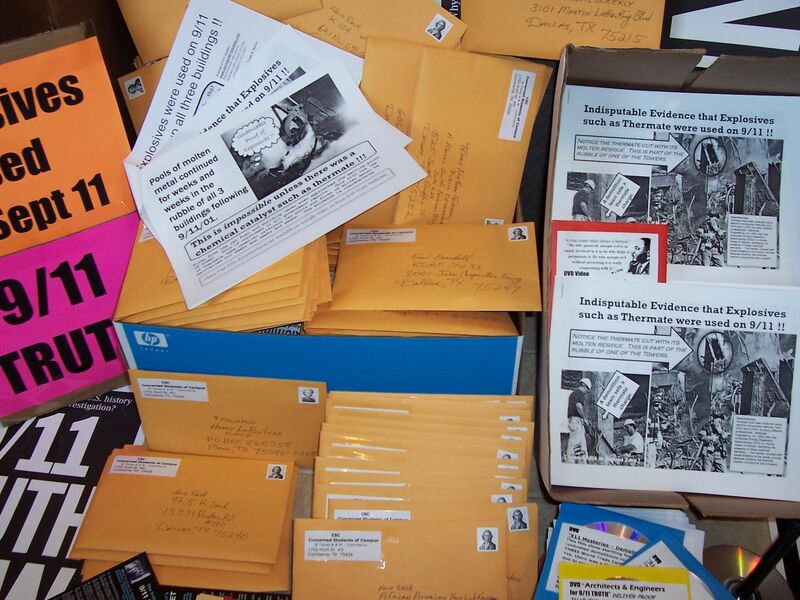 In the past, our Texas group has mailed out DVDs-broadsheet flyer packs to hundreds of fire stations in the area (and also mailed thousands of packs to other entities and high profile people in the area). Restate your message in another 911blogger post with a graphic(s) or YouTube trailer or excerpts from the video. Pictures/graphics help to attract attention and also to relay a concept. On occasions, utilizing different approaches and script, you can repost this concept to 911blogger in order to gain a wider audience support. TomT on Tue, 03/15/2011 - 6:50am. (or whatever it's called) at the top of the homepage, next to Building What? This is one of those campaigns which spurred me to make an immediate contribution (like Building What?). There isn't much description of the content of the DVD, but I look forward to viewing my copy. First-responders are our most important allies. I hope that the following numbers are included, and in the related material which goes along with it. Randy on Tue, 03/15/2011 - 1:59pm. This is the "sneak peak" I made from the event during May 8th with Gage and Lawyer. I look forward to seeing the final and full movie! grumpy brian on Wed, 03/16/2011 - 3:47am.